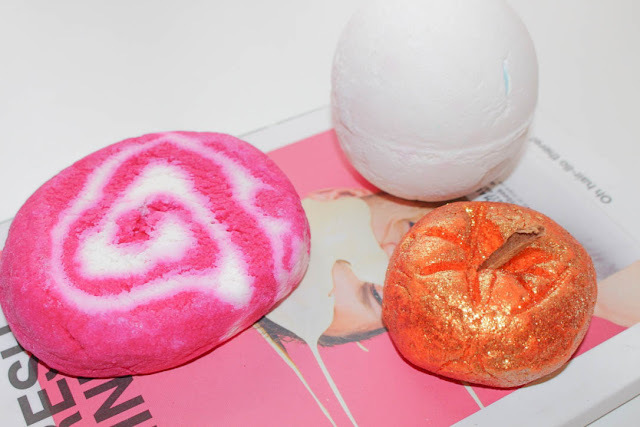 Last month, around the middle of October, I went on a shopping trip and popped into Lush to look at the Halloween collection, so it was no surprise that I had to pick a few little treats up! In fact, I'll need to plan another trip soon to pick up some of the Christmas collection, because who can resist Lush products at Christmas time!? 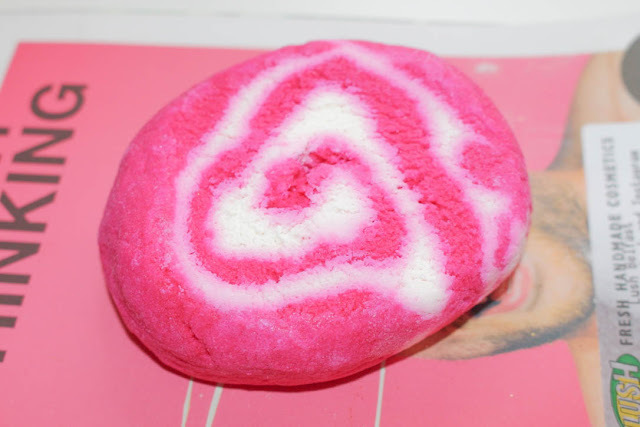 The Comforter Bubble Bar is one of the best selling products in Lush and if you've used it, or even smelled it, it's pretty clear to see why. With a concoction of Cassis Absolute, Bergamot Oil and Cypress Oil, it gives the distinctive scent of blackcurrant which provides a comforting, yet uplifting sensation. I actually prefer bubble bars to bath bombs as I find them a lot more moisturising and I get much more use out of them. For example, I usually break The Comforter Bubble Bar into pieces of 4 or 6, which obviously provides 4 -6 lovely pink baths! As well as being a Lush favourite, it's definitely one of mine that I'll buy again and again. I also highly recommend checking out The Comforter Shower Cream, which I've used up, so I'll definitely have to repurchase that next time I'm in Lush, or placing a sneaky order online. The only bath bomb I picked up and yet another Lush best seller was the Dragon's Egg Bath Bomb. It looks simple enough from the outside, but when placed in the bath, it disperses colours of pink and green, then eventually breaks down into a gorgeous orange with pinky red petals floating on top of the water. Due to the Lemon Oil, Bergamot Oil, Jasmine Oil and even Popping Candy, it leaves your bathroom smelling like the most amazing lemon sherbet in the world. 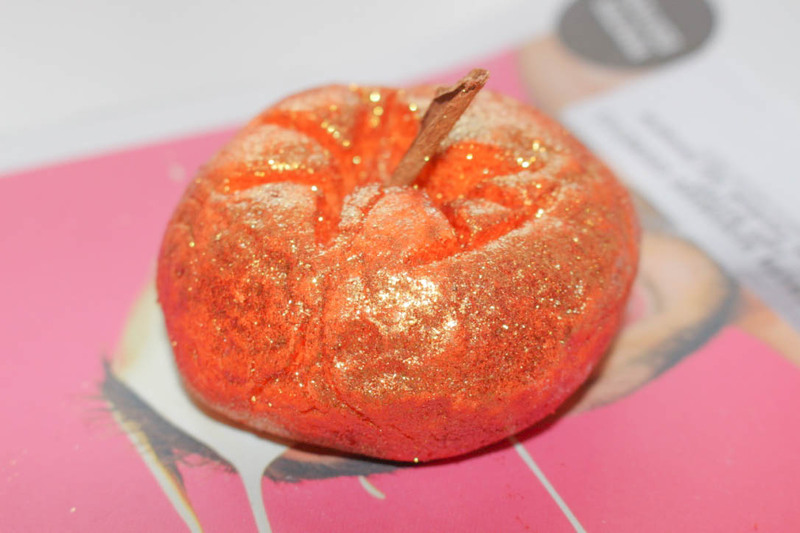 The only thing I picked up from the Halloween collection was the Sparkly Pumpkin, which is now sadly no longer available on the Lush UK website. However, I highly recommend picking it up next year as it's the one product I'm sure I will buy every time the Halloween season rolls around. Not only does it look incredible, it smells incredible as well, boasting the typical Lush cocktail-like scent, due to the blend of Juniperberry Oil, Grapefruit Oil and Lime Oil. Just be prepared to be seriously glittery whenever you come out of the bath! What do you think of my mini Lush haul? Would you try anything from it? Let me know in the comments! It really is Bea! Thank you! the draggons egg is one of my favorite lush bath bombs. it smells so nice. Definitely check it out Jasmine, you won't regret it! Ohhh, I must check out Fizzbanger then! It's definitely the best product from the Halloween collection! Dragon's egg sounds amazing and so does the Comforter! Even better if you can use it multiple times! They are both incredible! Thank you! I'd definitely check it out! I can't wait either! Who doesn't love a Lush haul!? Same here! Wasn't it so lovely? Dragon's Egg is my all time favourite LUSH product. The Comforter smells amazing, I need to get it! Oooh these are some excellent-looking picks! The bubble bars are definitely my favourite! I wish I had a bath to use these in myself! They are so lovely! I wish I stocked up on a few! It's a firm favourite of mine! I really really really want to try the comforter bubble bar it just looks so gorgeous and the smell is just amazing! Definitely give it a go, you won't regret it! The comforter is my favourite! i even have the shower cream i cannot get enough! The Comforter is definitely one of my favourites! 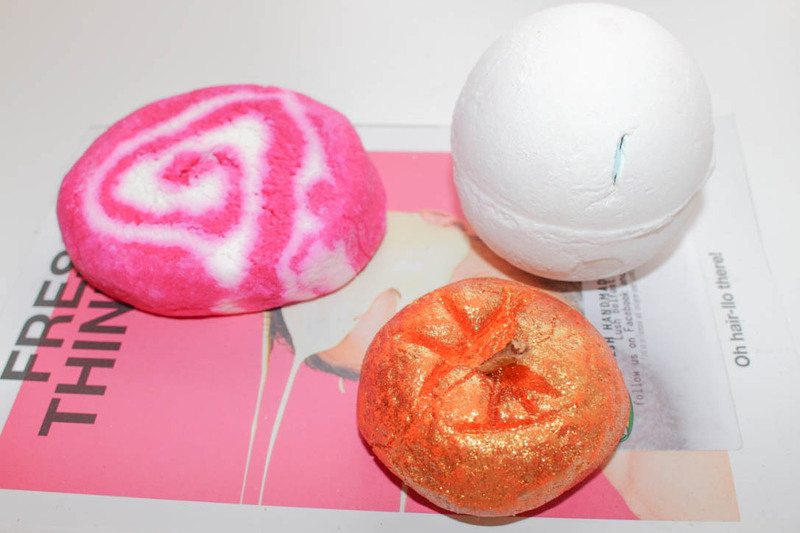 The Comforter is one of my favourites from Lush! 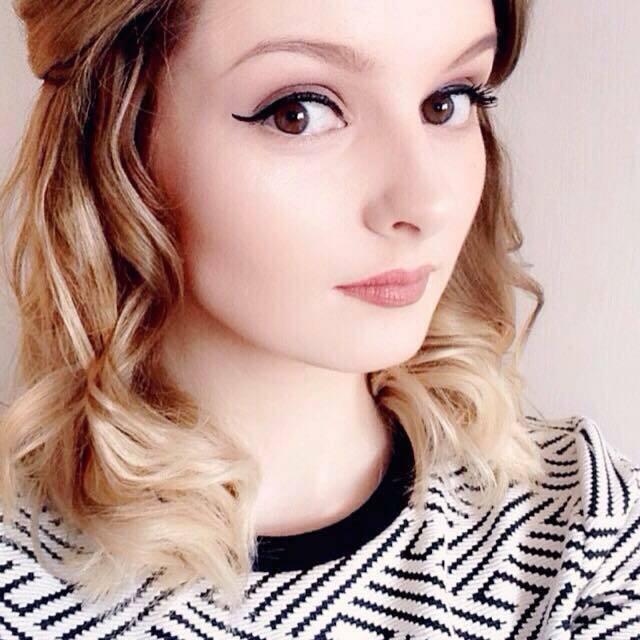 It's definitely a firm favourite of mine! Ooh yum I haven't been in Lush for ages but these look so good! Gutted the pumpkin is sold out, it's so cute! It really is, I wish I stocked up! Love LUSH!! So gutted I didn't get to try the pumpkin in time! I really wish I bought a few more! It really is Paula, I wish I bought more than one!